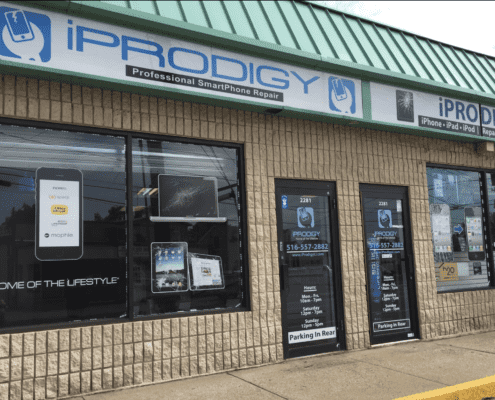 iProdigy was formed to become the premier professional destination on Long Island for iPhone and iPad repair. We believe that these devices are a central part of our everyday lives and a personal touch is required when issues arise. The simple fact of the matter is that we are a part of an interconnected world and the devices we use to stay connected are fragile. After you have purchased your device, the real service industry begins as manufacturers will only ever want to sell you the latest. This means options are limited when it comes to repairing your devices and we are the solution. We are authorized resellers of the best cell phone accessories brands in the industry to keep your devices protected. At iProdigy, we pride ourselves on giving the customer the confidence and assurance to become the name you remember when servicing your smart devices. We offer the highest quality parts in the industry and combine it with top notch customer service. Our team consists of expert technicians standing by in order to fix your device fast, and complete. No appointment needed. Industries best warranty is included with each and every repair we offer. We fix it the right way the first time.